We feel that it is important to teach our students why we have off on Friday. We have been working very hard this week to teach what it means to honor someone. Our class is honoring veterans by writing letters and by placing a star on our wall for them. We want our staff to participate in adding to our wall. Mrs. Rivera already added her uncle to our wall! 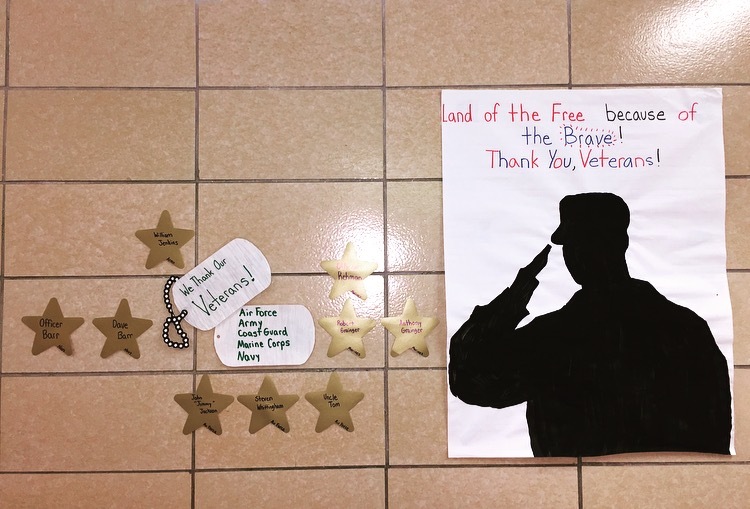 If you have a veteran that you want to honor, please come to our room. We are writing their names and the branch that they served. Thank you for making our school community stronger! Posted in Uncategorized on November 14, 2016 by hmir3.